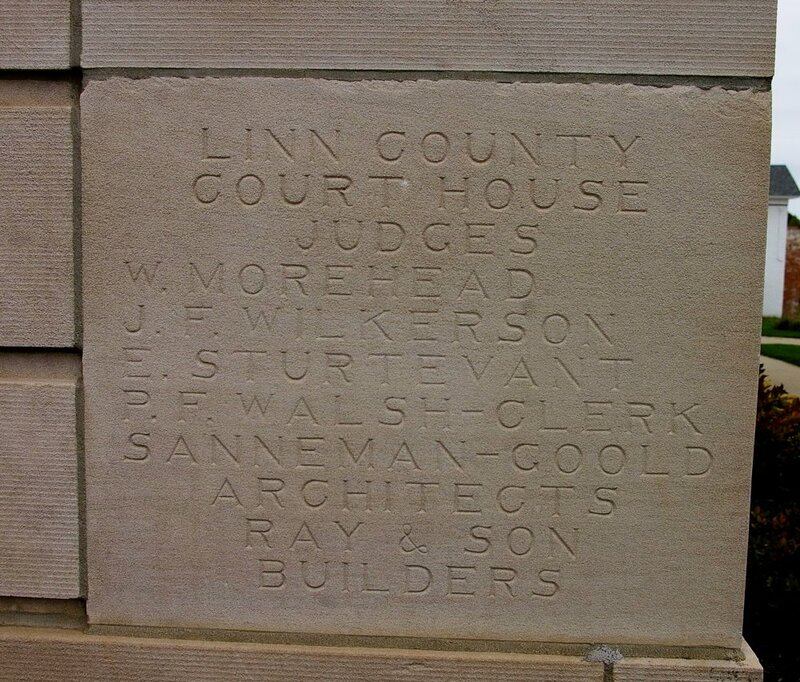 Linn County is named for Lewis F Linn, who was a United States Senator from Missouri and who was born in Kentucky. 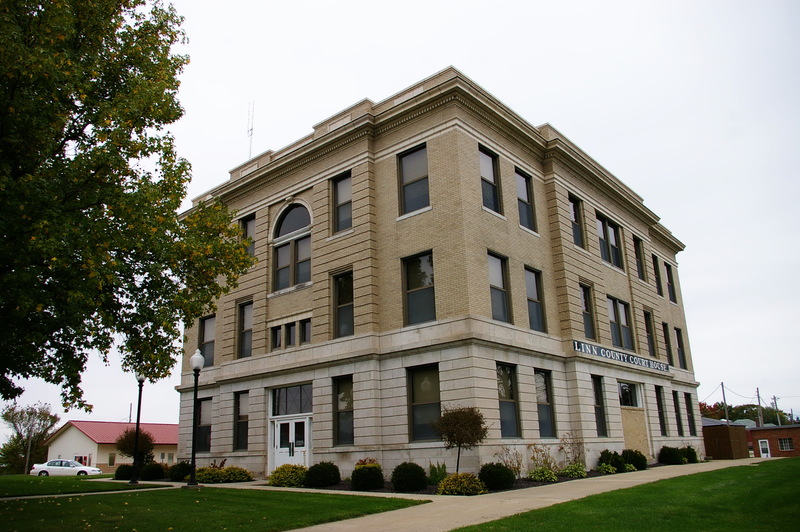 Description: The building faces south and is a three story buff colored brick and stone structure. 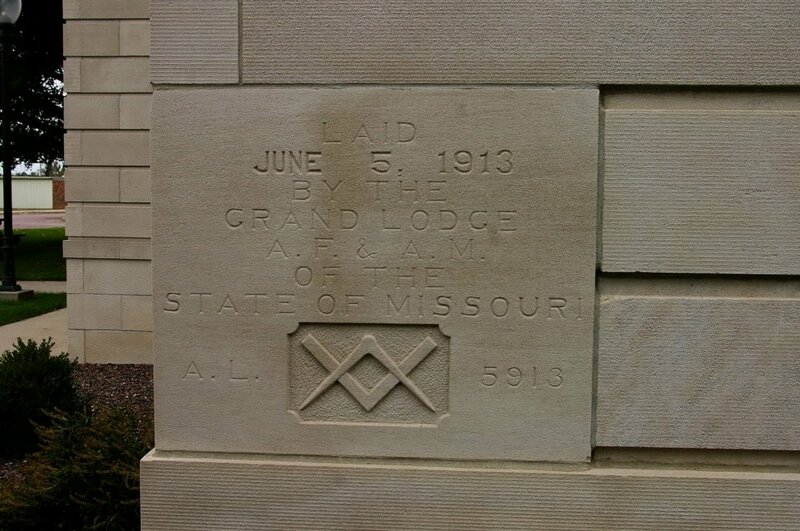 The rectangular building is 55 feet by 80 feet and has stone facing on the first story. The center sections on each side project slightly. The roof line is flat with a cornice below. . 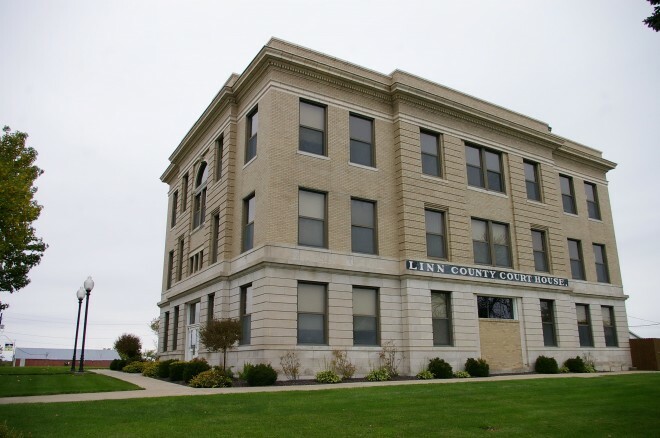 Note: The first courthouse was built by David Jenkins and Goldsby Quinn in 1841 at a cost of 516.50. 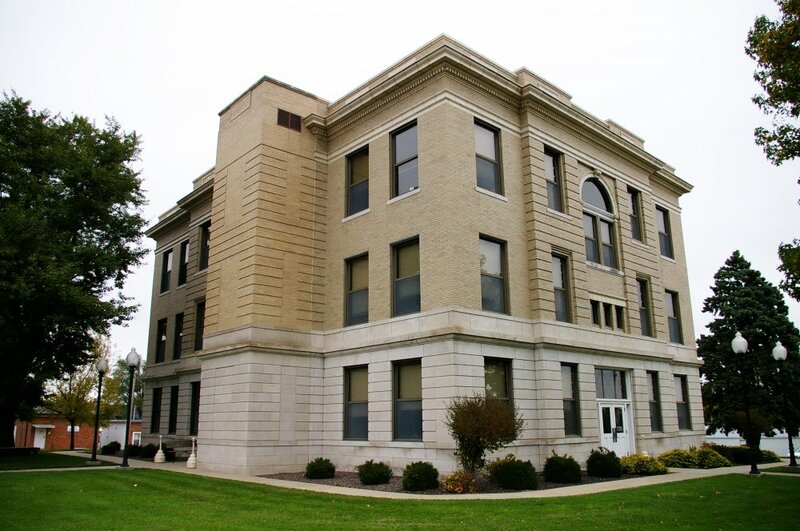 The second courthouse was designed by Thomas Barbee and was built by Joseph (or James) L. Nelson in 1848 at a cost of $3,894.85. The building was remodeled in 1865 to 1867. The cost of construction of the present courthouse was $60,000.